Yesterday’s guild meeting was more of a holiday party! We played a fun game in exchanging our swap gifts, had a bonus holiday show and tell, and everyone received a pretty fat quarter and yummy candy cane! Using leftover quilted scraps from the awesome travel bag my friend Stephanie gave me, I followed this Purl Soho tutorial to make a cute little zip pouch. 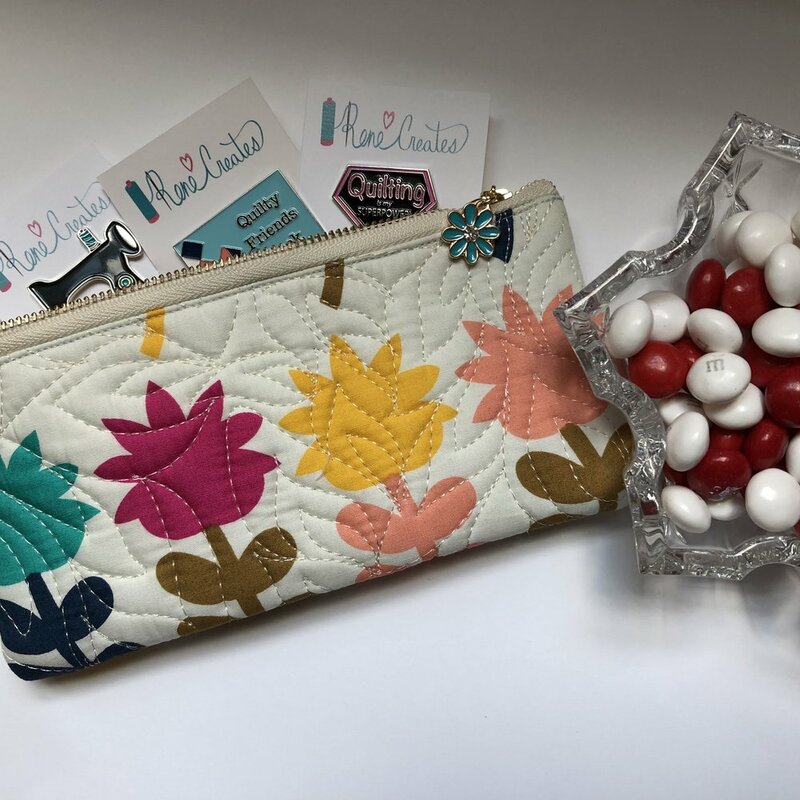 The zipper is from Sunny Day Supply and came with the adorable flower zipper pull. Don’t you think that zipper was meant to go with this pouch?! 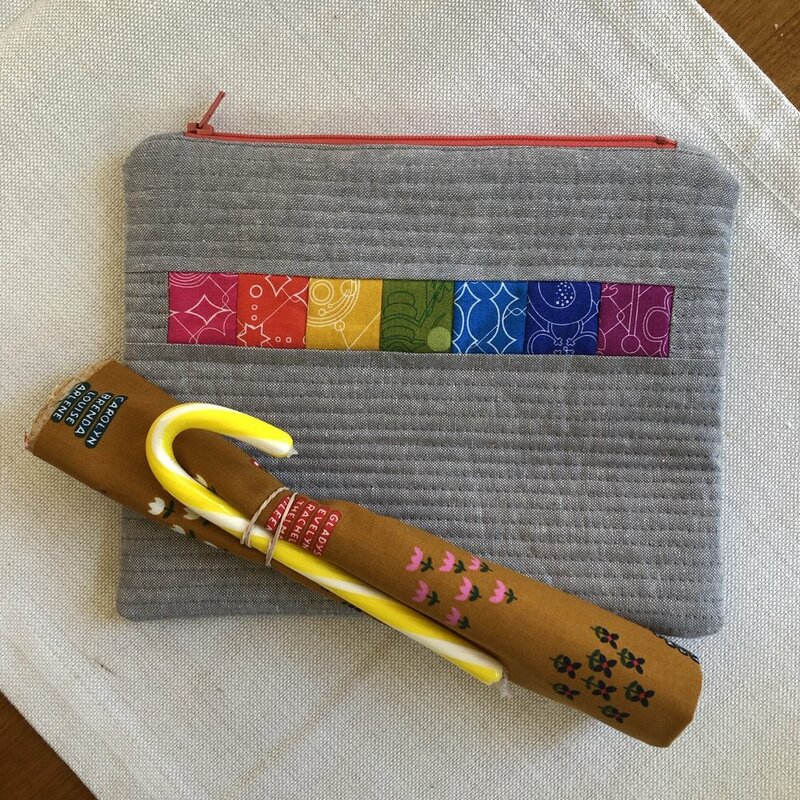 I opened my swap bag to find this amazing rainbow zipper pouch. I knew exactly who made it as I had admired it on Instagram. I love Yanick’s signature rainbow style! What’s so funny is that she received my pouch as well! We had over 55 participants…what are the odds?! Thank you Yanick, and thank you Orlando Modern Quilt Guild!! I’m off to decide what items to put in my new, awesome zip pouch! Thanks for stopping by.